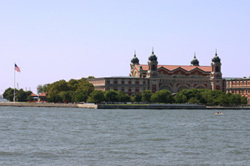 Ellis Island has welcomed over 12 million immigrants to the United States between 1892 to 1954. Eager to reach "the land of opportunity" immigrants from many countries endured harsh conditions to reach their destination. Life was not easy for those new residents of the US, but we can see the positive influences their arrival has had on our country in the form of the diverse foods and cultures we are able to enjoy throughout America. The Ellis Island Museum is a excellent place to learn even more about immigration to this country during that time period, and if you enjoy boating, the ride over on the ferry is enjoyable as well. Children 4 - 12 - $5.00. 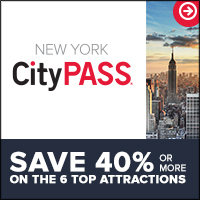 Access to The Statue of Liberty is included in the Fee.